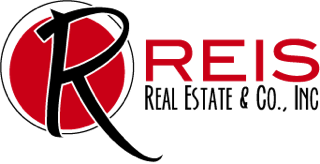 Careers - Reis Real Estate & Company Inc.
Reis Real Estate is a special place to work! We provide supportive management and enthusiastic environment to help you succeed in your career. No matter where you are in your real estate career, we can help you take your business to the next level. We give agents the tools they need to succeed with their clients – including coaching, marketing support, innovative technology and continuing education. After a Midlife career change to real estate, I was fortunate enough to be referred to Reis Real Estate by a friend. As a new Realtor I needed a principal broker who could guide me through the complexities of real estate negotiations and transactions. Carolyn was both supportive and patient. She makes herself available to her agents twenty-four hours a day, seven days a week. Through her encouragement and sharing her extensive knowledge I am becoming an effectual and skilled agent in a field I love more each day. I have been working under Carolyn Reis at Reis Real Estate for 5 years and the time has flown! It feels great to be working for a company that has genuine concern for their employees. Carolyn is smart, talented and most importantly in real estate, effective. She is focused on getting you, the salesperson, to the finish line. This combined with her outstanding ethics and compassion truly makes her the best boss I have ever worked for. Being a person that was previously self-employed, it is quite a feat when all your employees admire you, as we all do. If you have the opportunity to interview with Carolyn and are chosen to join this team, consider yourself very fortunate. I know I am. I first met Carolyn through a real estate transaction where Carolyn represented the buyer and I the seller. The deal went through smoothly, Carolyn is always great to work with. I told myself, if I ever decided to transfer to another real estate company, I would contact Carolyn. That day came soon after, I contacted her, we met, and I’ve never been happier. My only regret was that it wasn’t my first stop, but it will be my last. Reis Real Estate is one of close relationships. Carolyn’s commitment, patience and willingness to help each and every agent, helps to motivate us to do the best job that we can. She models behavior that agents want to emulate: her work ethic and integrity. She is the "go to person” when conflicts arise, and always has a solution, she looks out for her team. Any agent would benefit to work at Reis Real Estate under the guidance of Carolyn. If it’s not your first stop, make it your last. Hanging my license at Reis Real Estate has been one of the best choices I've made professionally. You get the support you need to further your career in real estate, and your work is always held to the highest standard - which helps Reis agents stand out from the crowd. I really feel like I'm part of a REALTOR® family!" I can proudly say I will be celebrating my 5-year anniversary at Reis Real Estate come this May. I chose to work at Reis because I was looking for an opportunity to be part of a team instead of just a number in a big company. I met with Carolyn prior to passing my license and I instantly trusted her, appreciated her knowledge and knew that by coming to work at Reis I would have an incredible leader who would not just show me the process, but also teach me about how to be the best Real Estate agent I could be. In a very short time I have learned so much about buying, selling, ethics, how to work well with other agents, what’s important, when to say no, how to advertise, the importance of networking and so much more. Working at Reis Real Estate is working in a environment that helps you to succeed and I would not want to work at any other office.